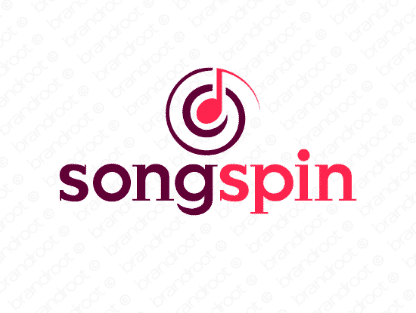 Brand songspin is for sale on Brandroot.com! This catchy mix of "song" and "spin" offers a creative and musically inspired brand. Songspin is an ideal match for online streaming services for music and multimedia, record labels or audio equipment manufacturers. You will have full ownership and rights to Songspin.com. One of our professional Brandroot representatives will contact you and walk you through the entire transfer process.